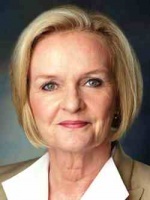 WASHINGTON, D.C. (Oct. 28, 2015) — Former courtroom prosecutor and U.S. Sen. Claire McCaskill today wrote to the Director of the Federal Bureau of Prisons to get answers concerning a pilot program designed to reduce sentences for elderly non-violent offenders — whose rates of recidivism are statistically much lower than for younger prisoners. The Elderly Offender Pilot Program (EOPP) was created to reduce prison costs by placing certain nonviolent elderly offenders on home detention after they had served at least 10 years and 75 percent of their sentence. The program was judged by the Bureau of Prisons (BOP) to have produced no cost savings, but a report by the Government Accountability Office determined the BOP’s conclusion was based on faulty measurements and recommended that it not be used for policy-making decisions. The vast majority of inmates who applied to the EOPP were denied. In a letter to BOP Director Charles Samuels, McCaskill asked him to provide her information on the program including the criteria BOP used to determine acceptance or rejection from the program. McCaskill is the top-ranking Democrat on the Special Committee on Aging, which promotes discussions and conducts investigations on areas of special interest to older Americans.